In South Carolina, food and drink have always had a huge influence on the culture. Gathering around the table to eat staples like shrimp and grits or Lowcountry Boil (Frogmore Stew), has always been a joy that Charleston has grown and savored throughout the years. Food connects us all, which is especially true here in Charleston where the food scene has exploded over the years. You need only to walk down King Street to see the wide array of bars and restaurants that have sprung up to realize that Charleston truly has something special. The same is true with the event industry. While we do everything from Catering, Bar, Floral, and Décor exactly as out tagline suggests, we want to emphasize our focus on food leading into our 40th Anniversary. Catering is how we got started, good food is in our roots. Food is the main focus, it’s the first thing people want to talk about. And why not? We’re a town of homegrown foodies. Which is why we are incredibly excited for the Charleston Wine + Food Festival happening next week from February 28th to March 4th. The annual festival, cooking since 2006, provides a way to connect to Charleston’s unique and trending food scene through various exhibits. One of the biggest events hosted here in Charleston, the Charleston Wine + Food Festival, offers many showcases such as hands-on classes and book signings with influential cookbook authors. There are also events that you can attend such as a yoga class (with champagne!) and exclusive dinners at spectacular restaurants like 82 Queen and Poogan’s Porch. Two of our chefs, Cassi Hibbett and Tom Donnelly, will be exhibiting in the Culinary Village on Friday March 2nd. The Culinary Village is the heart of the festival and will showcase, with the help of our guest chefs, some of the best food that Charleston has to offer. Located in Marion Square, Culinary Village will have live music and shopping along with food and drink samples. Want a taste of what we’re planning on Friday’s menu? Chef Tom Donnelly will be preparing Lowcountry Grouper with Geechie Boy Grits, Shaved Fennel and a Citrus Salad. Chef Cassi Hibbett will be creating items for a “Dreaming of Summer” themed dessert menu. She’ll be making Roasted Strawberry and Buttermilk Panna Cotta, Ice ‘Creamsicle’ Macarons and Pink Lemonade Mini Cake Donuts. 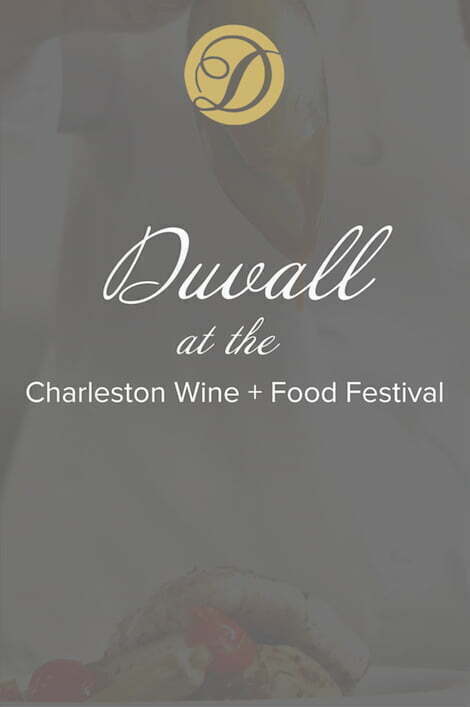 The festival embodies the best that the Charleston food scene has to offer, and we are excited to be a part of it. Come say hi to us on Friday afternoon in the Culinary Village at the Rosé Garden and Sweet Tooth Events!